Big B's and Lots of Strings - Nekaro & Co. 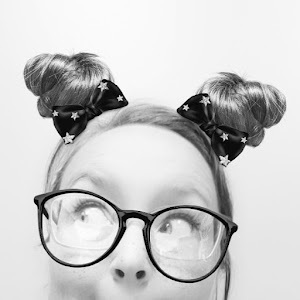 I decided to boost my craftiness this year by following along with a Tumblr blog, Craft Challenges. Doing a new project every month. Probably a lost cause before it even starts because I rarely ever finish a challenge. I do try though. And this month is already complete! This month's theme was white. You are open to interpret that however you see, but it must have something predominately white about it. I was randomly searching through Ravelry for something I could use. I definitely didn't want to knit something white for the toddler to wear because it wouldn't be white for long! I happened upon a pattern for a pillow. With a big B on it! If you don't know, our last name starts with a B. 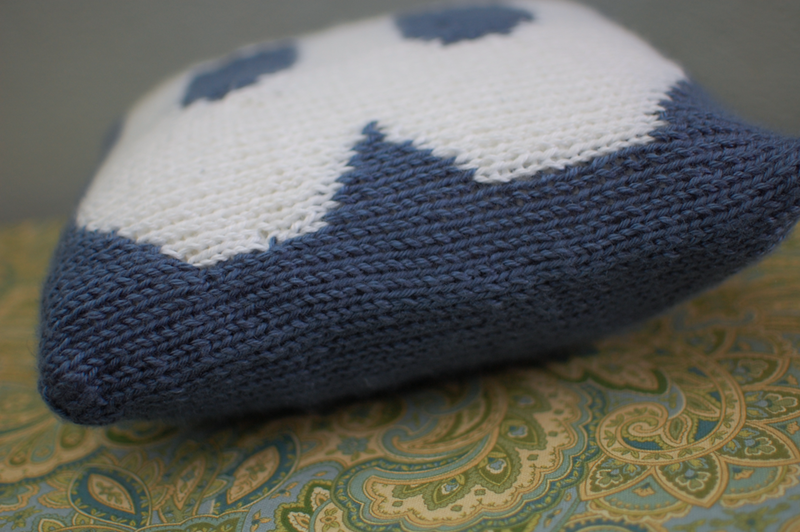 Turns out I learned two knitting techniques while doing this project, intarsia colorwork and how to use mattress stitch to seam a bound off/cast on edge. I've done stripes, but not blocks of color. I did not do it right. At least for the first half of the B anyway. I was cutting the yarn at every color change. I hang my head in shame. What can I say? I'm still fairly new to this. I realized that this just wasn't right, considered frogging the whole damn thing, watched a few videos, discovered yarn "bobbins", and finished it. The original pattern called for using a crochet hook to weave together the edges with a nice contrasting yarn. I wanted a more finished look so decided I'd go with what I know. The mattress stitch. Except when I got to the cast on/bound off edges, I realized I had to go back to videos. Turns out it's pretty easy and I got nice pretty seams. The B may not be pretty. It's got tons of mistakes. 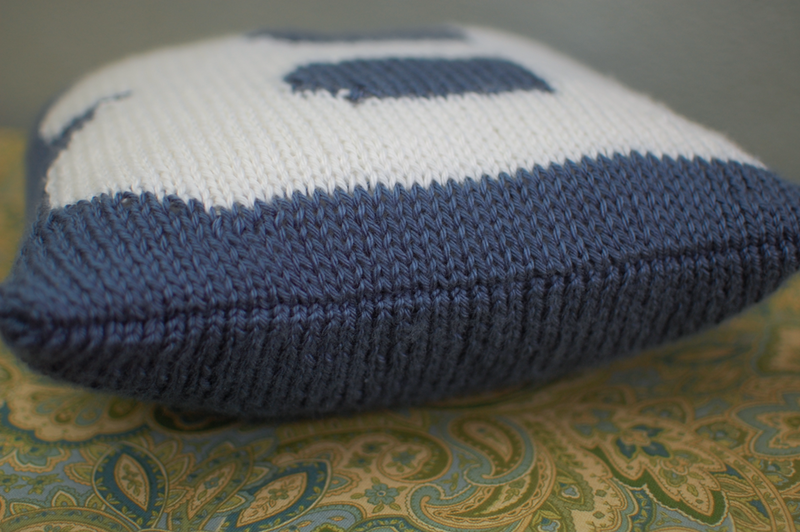 I think for my first go with so many new things (a pillow, colorwork, these kind of seams), I like it. 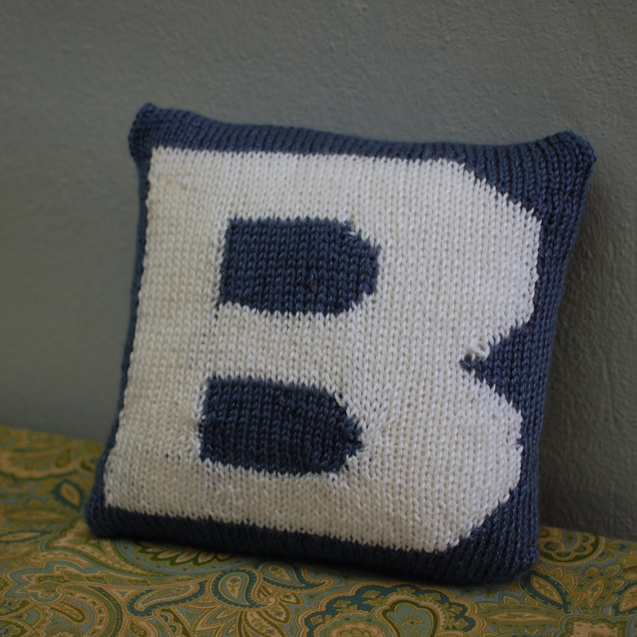 I hope to possibly make other letter pillows in the future.